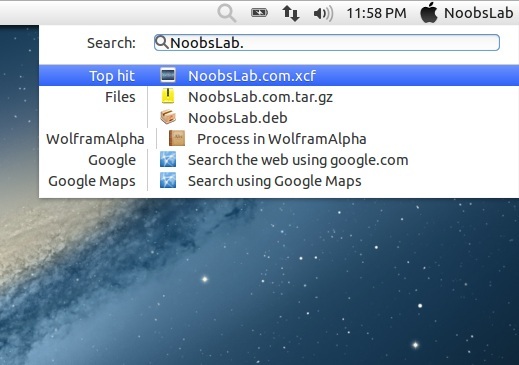 Indicator Synapse, a search indicator made by Tom Beckmann for elementary OS. The indicator is similar to Mac OS Spotlight. It creates virtual index of files and items which are on the system. It is designed to access files and items quickly. It also has ability to search in online dictionary/knowledge engine (WolframAlpha) and web. It is still under development you may face any bug while using it. Now indicator-synapse is available in our Apps PPA. You also can transform your Ubuntu to Mac. Previously we shared a great handy tool synapse launcher.